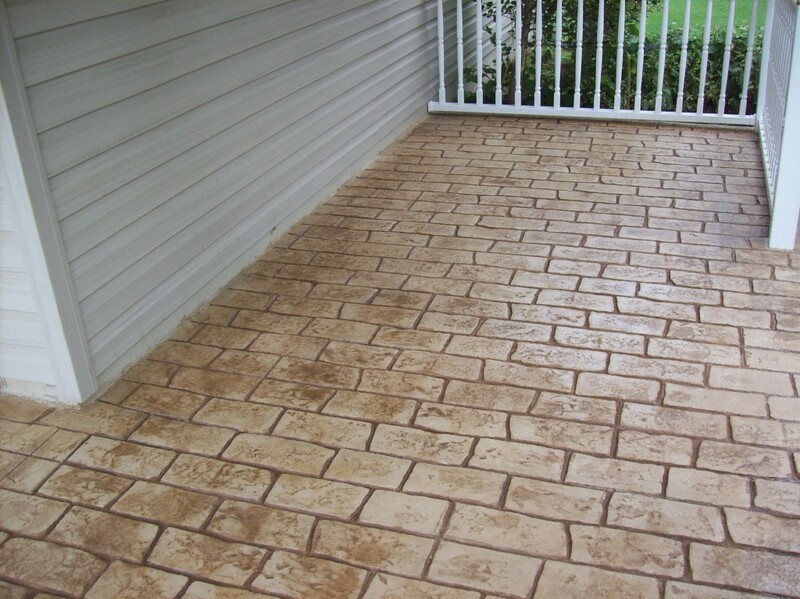 This Ellicott City stamped concrete project involved both a front porch and walkway. The homeowners of this southern country-style house wanted to add a decorative touch to their front porch and walkway. They contacted Maryland Curbscape. We inspected the porch and walkway, and although there were a few visible cracks, they were deemed structurally sound. 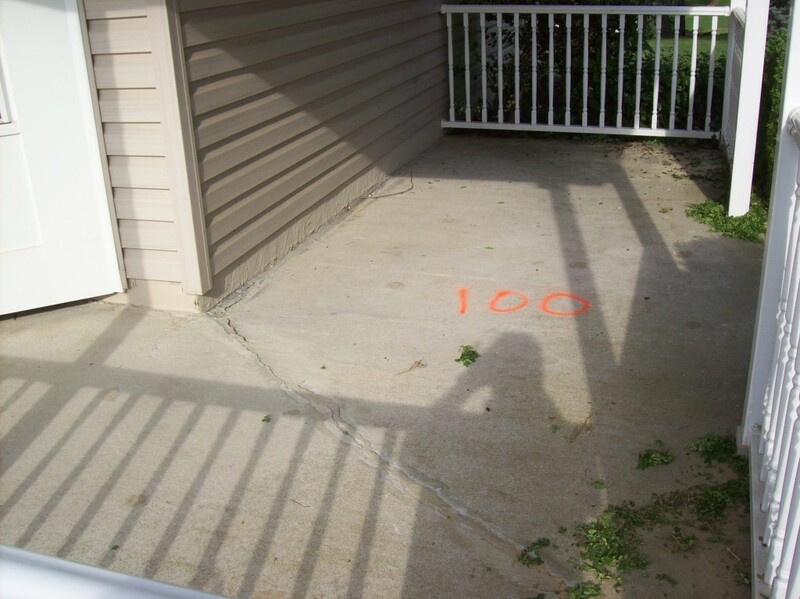 The result was that the structures were candidates for a stamped concrete overlay as opposed to having to be jack-hammered and completely rebuilt. All cracks were treated and sealed, plus the site cleaned to prepare for pouring the new concrete overlay. 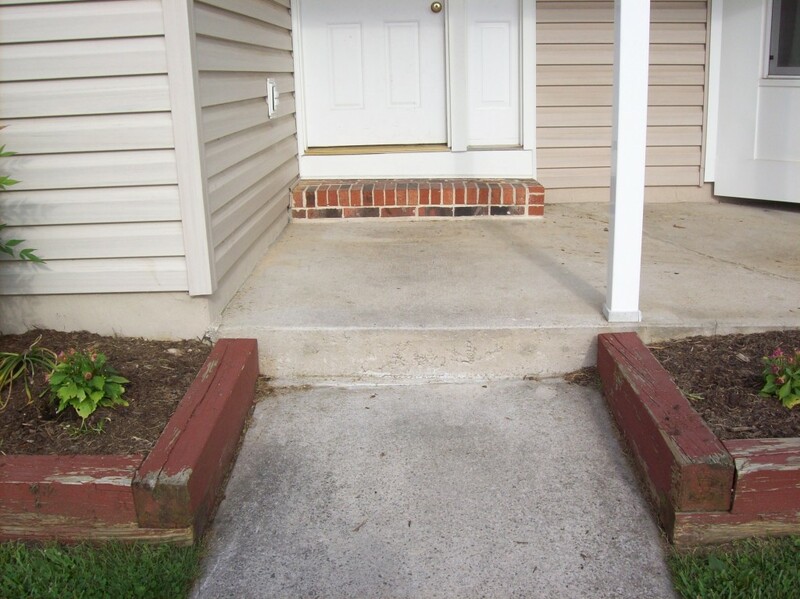 The older, brick step to the from door was also overplayed for a seamless aesthetic. The projects were finished in an Old English Cobblestone pattern. All work was completed in one and a half days. The homeowners were excited about the results as the new walkway and porch add curb appeal to their house. It also created a welcoming and artistic entry for guests. 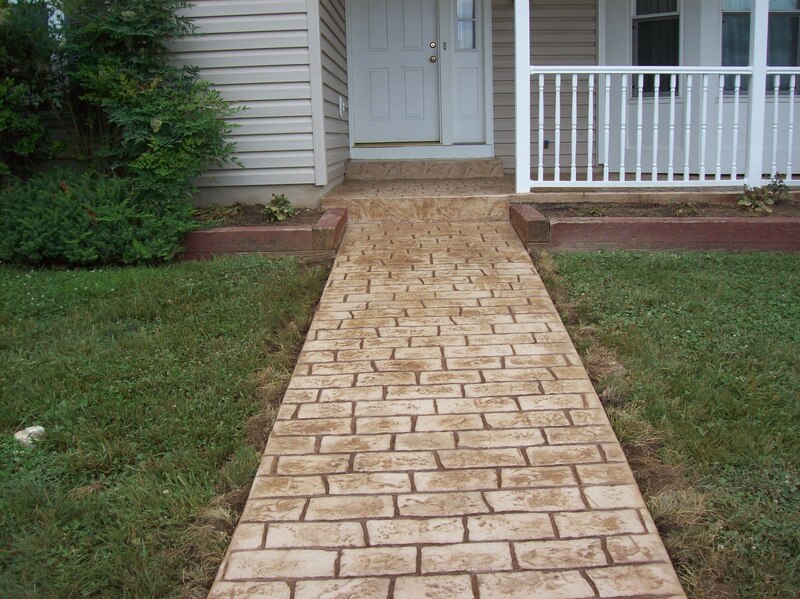 If you are interested in breathing new life into your existing walkway or front porch, contact Maryland Curbscape. We offer many creative options. We will complete the work as quick as we can, so as to not inconvenience you. Plus we offer a 100% guarantee. Contact us today for an estimate!